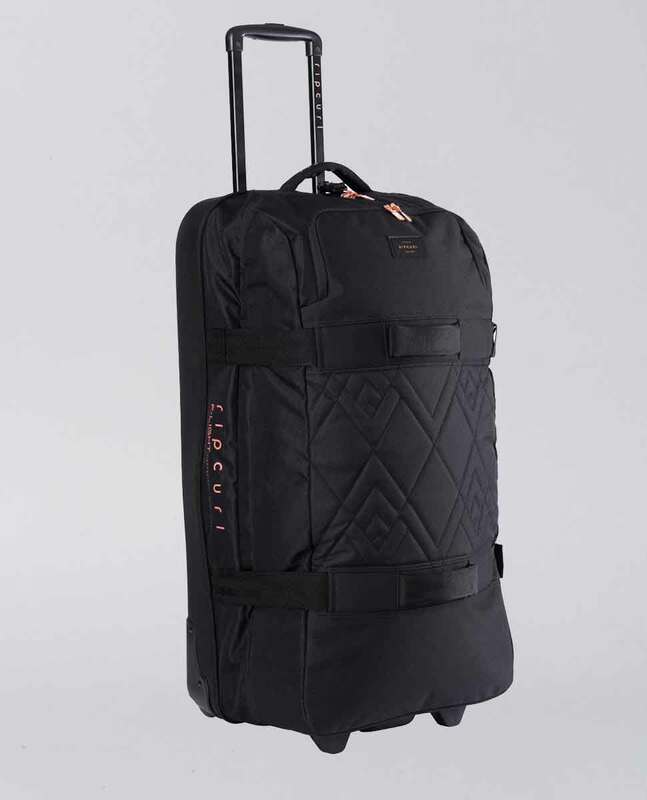 The F-Light Global Rose is the best travel luggage for women, designed to hold up to 100 litres of content - perfect for an overseas trip - yet only weighing 3.6kgs. Lightweight, durable, flexible, water resistant, designed with a functional sandwich construction and fitted with in-line skate wheels, an external pocket and more. 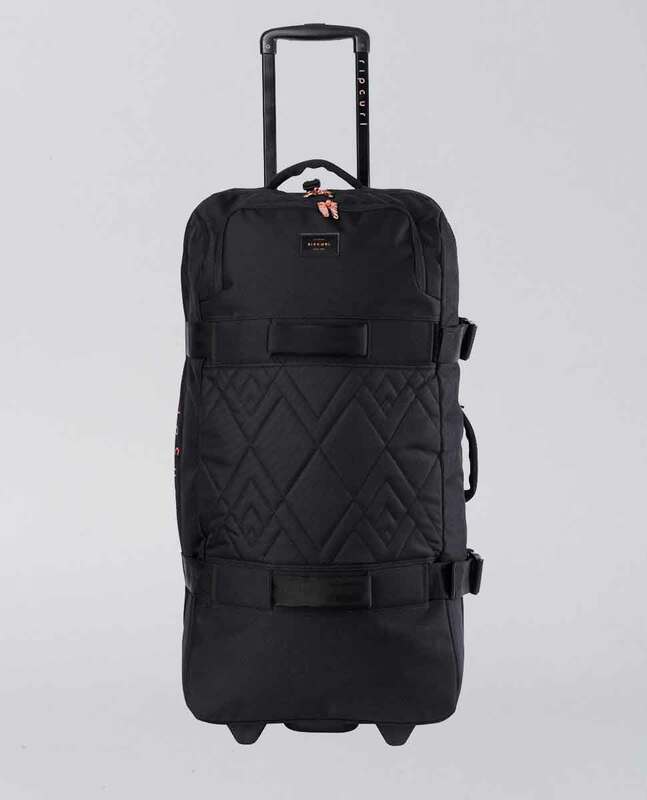 F-Light Technology: F-Light utilises the best fabric and construction to provide lightweight, flexible and durable travel bags. Compression Moulded EVA Base: The moulded base gives structure and keeps your possessions safer. Self Standing: Our bags are engineered to stand on their own, keeping your hands free to look up directions! Sandwich Construction: This travel bag open out flat, to provide two packing spaces, separated by mesh fabric with zip closures. 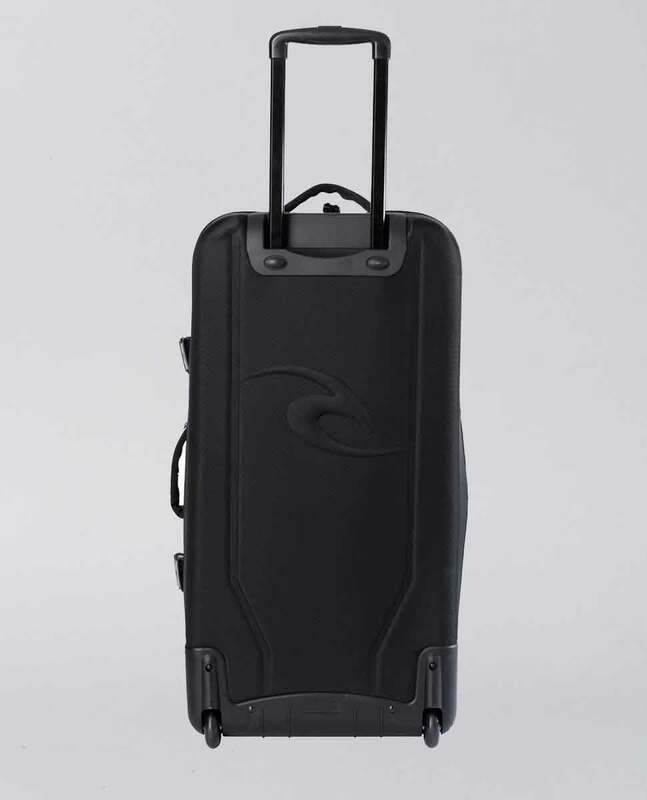 In-Line Skate Wheels:Strong and durable wheels to easily move your bag from point A to B.
Telescopic Handle: The handle extends and retracts for easy wheeling, and easy checking. External Compression Straps: Providing extra security and stability for your gear. Lockable Zips: Easily attach travel locks to your bag with our specially designed zip closures.